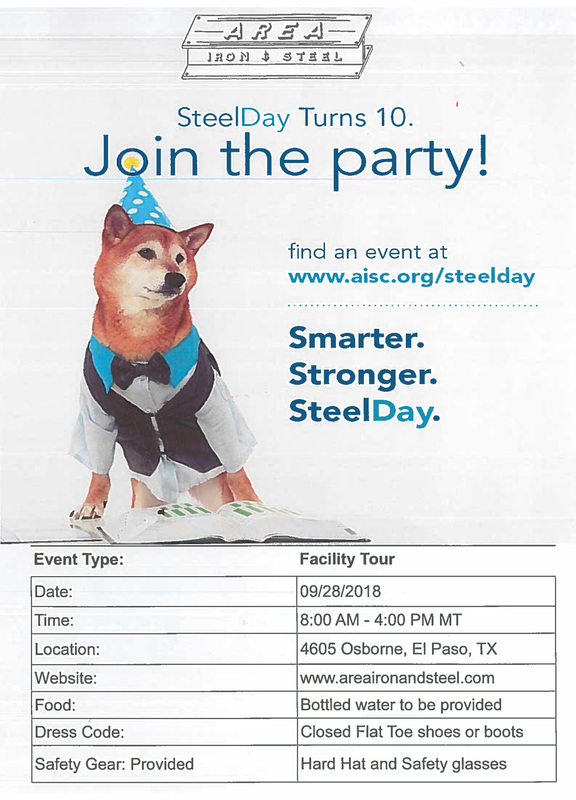 Area Iron & Steel is hosting our 6th Annual Steel Day Event. 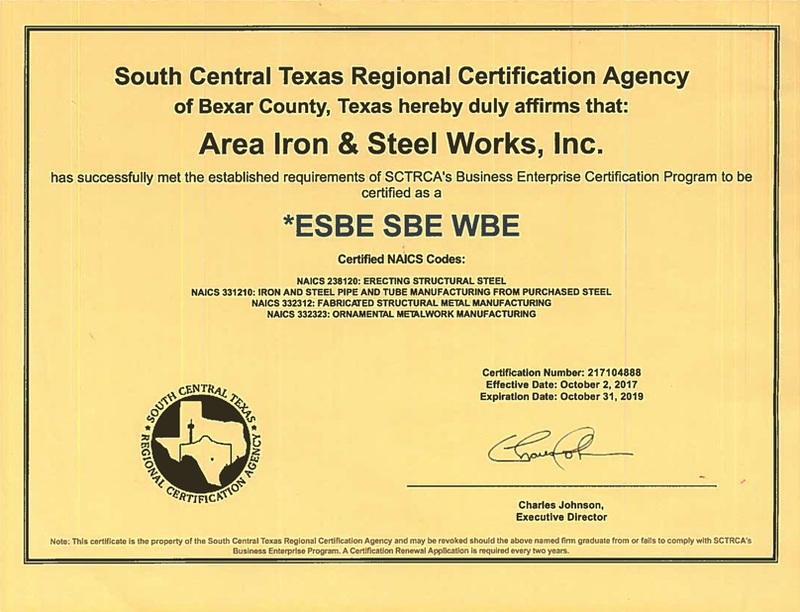 There will be guided tours of our Fabrication Shop, including basic machinery and fundamentals of steel fabrication. 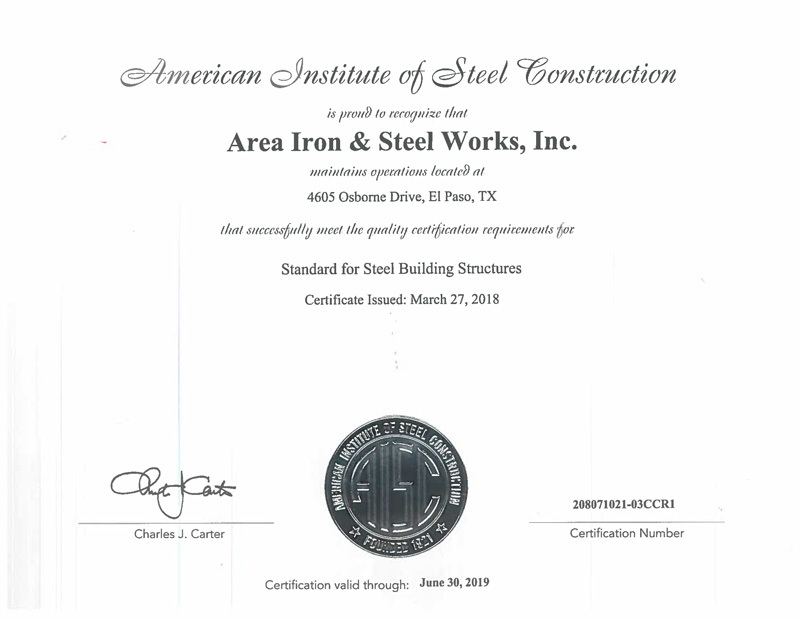 We will also be guiding you through our Estimating and Engineering Departments, to inform you of their roles in aiding our fabrication shop to success. 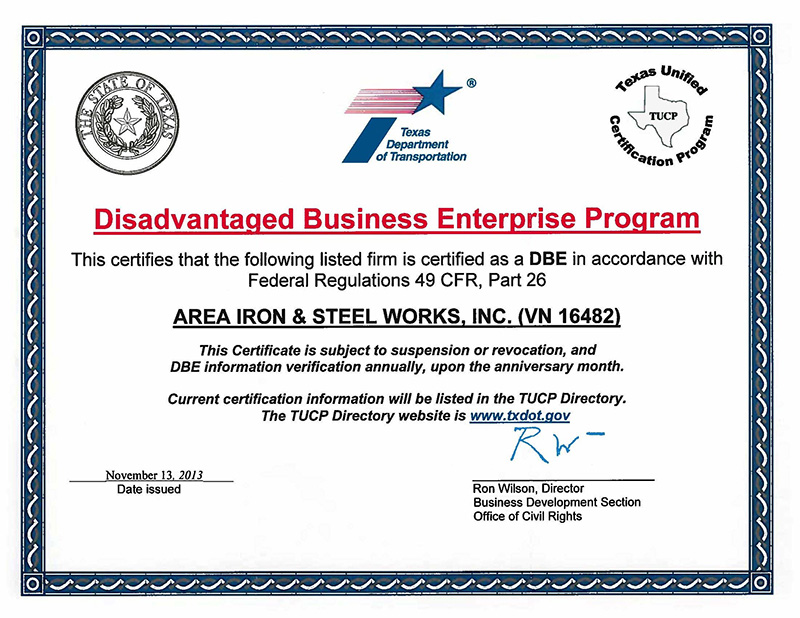 Area Iron & Steel is proud to host the only Steel Day Event in the area for the 10th year. 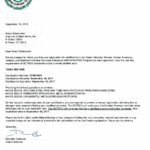 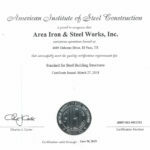 Area Iron & Steel is a full service steel center and AISC certified structural fabricator. 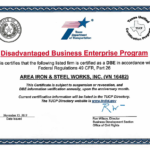 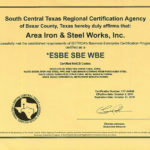 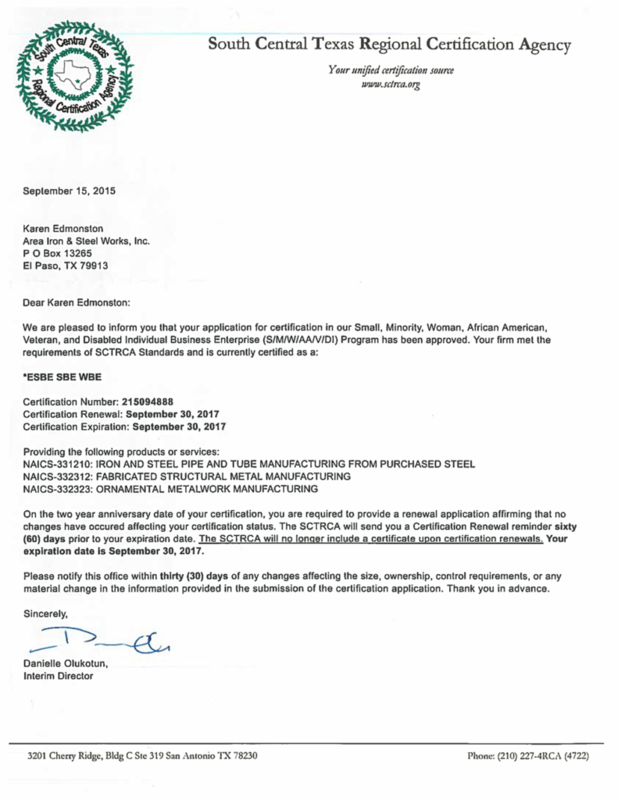 In business since 1990, Area Iron & Steel Serves the El Paso and Southern New Mexico area.